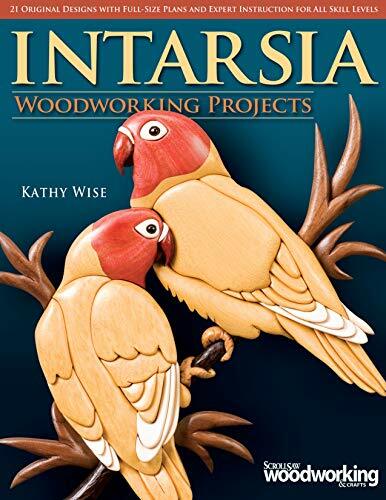 Intarsia enthusiasts can get right to work with this array of more than 25 full-size patterns suitable for a wide range of skill levels. The book displays an artistic style of woodworking that focuses on nature, the outdoors, and nostalgic scenes. With full-size patterns bound into a pocket at the back of the book, no photocopy scaling IS necessary. Designs include; holiday animals, a classic rose, colourful lovebirds, a lighthouse scene, and a farm scene. A brief, "getting-started" section provides hints on which types of wood and blades to select as well as how to shape pieces, guiding those new to intarsia or serving as a quick refresher for more seasoned crafters.